This drawing of macaron is from a while ago, as a gift for a friend. But it took me a looong time to finally give it to her! So here it is. If you aren't familiar with you beautiful and delicious (and completely nonvegan) macaron, you are missing out! Not to be confused with the also delicious, and much easier to veganize (and make kosher for Passover!) 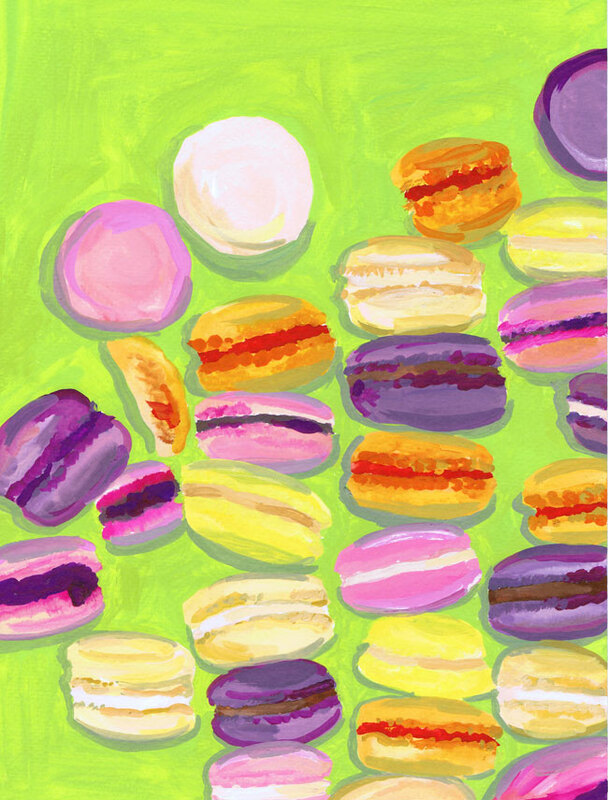 macaroon. The original is acrylic and gouache on watercolor paper, about 12"x17". Sorry again for not posting more regularly... like last time, I am working on a combination of big projects, some of which I don't want to post until they're done, and one of which is a collaboration that I will be posting a lot about in the future!